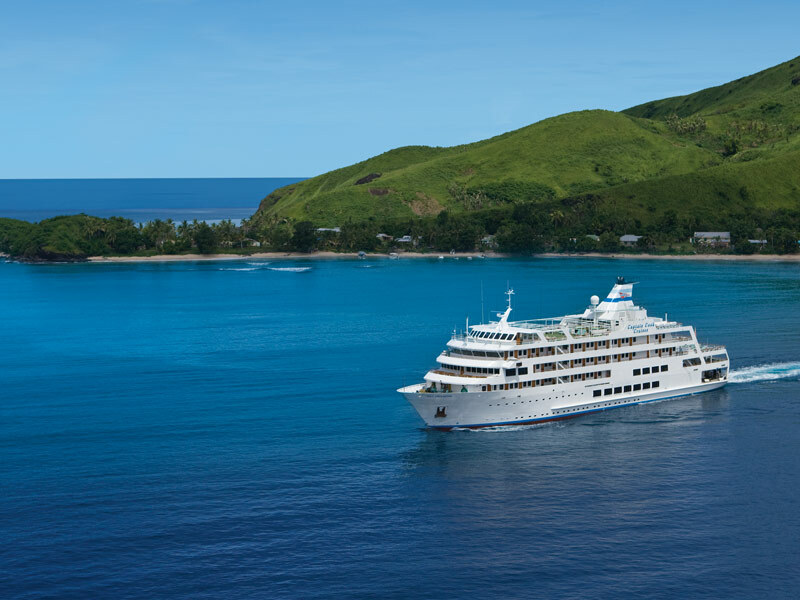 Set sail on your 7 night Mamanuca & Yasawa Islands Cruise in an Ocean Stateroom with an ever changing view of the ocean! 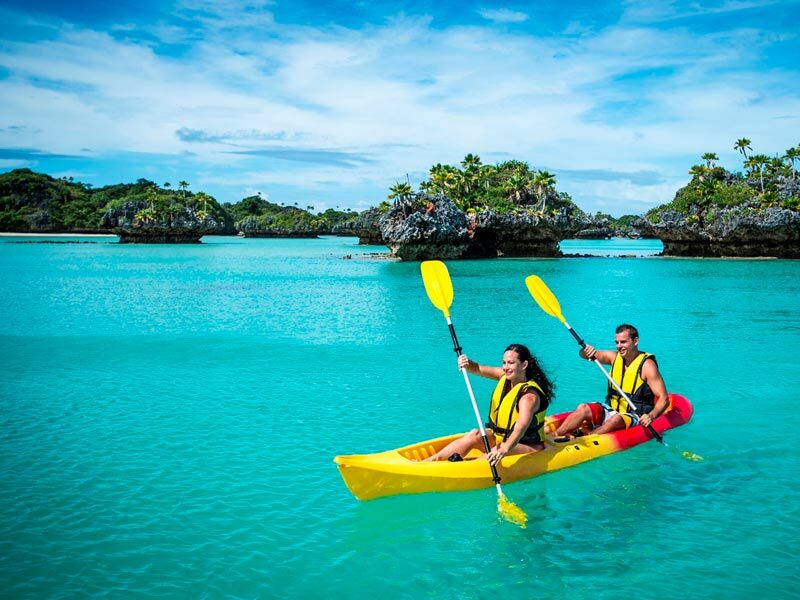 Enjoy 1 night at The Westin Denarau Island Resort & Spa in an Ocean Breeze Room! Avoid the stress of arranging your own travel and let us do it for you! With return economy flights planned for you and 23kg of checked luggage per person, when you travel with My Fiji, the only thing you need to do is pack some clothes and enjoy your holiday! No day need start the same with buffet breakfast! Feast on a selection of mouth-watering international favourites and gaze across the ocean. For more information, please see the Travel Dates tab. *Other travel dates may be available, ask your travel specialist today! Ocean Stateroom (B Deck) – UPGRADE from only $300 per person! 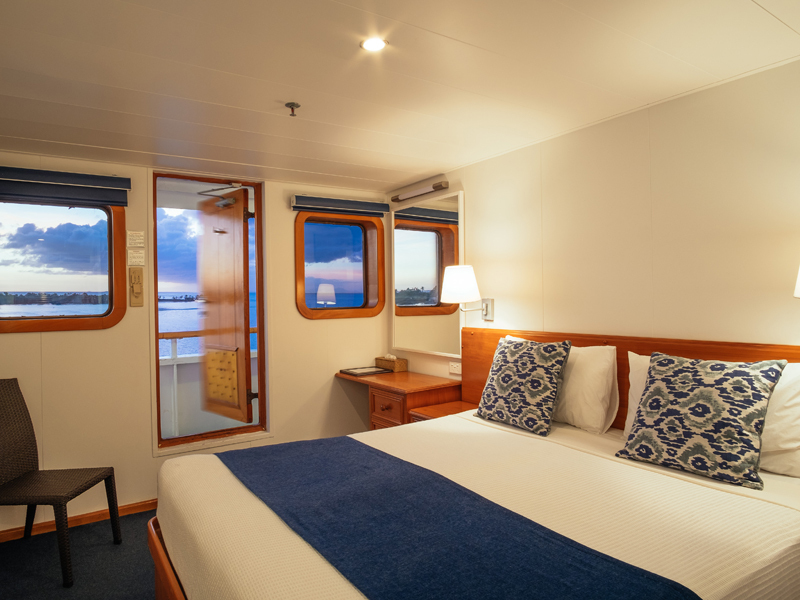 Staterooms on the Captain Cook Cruises open to outside walkways and are located on the main decks of the ship. 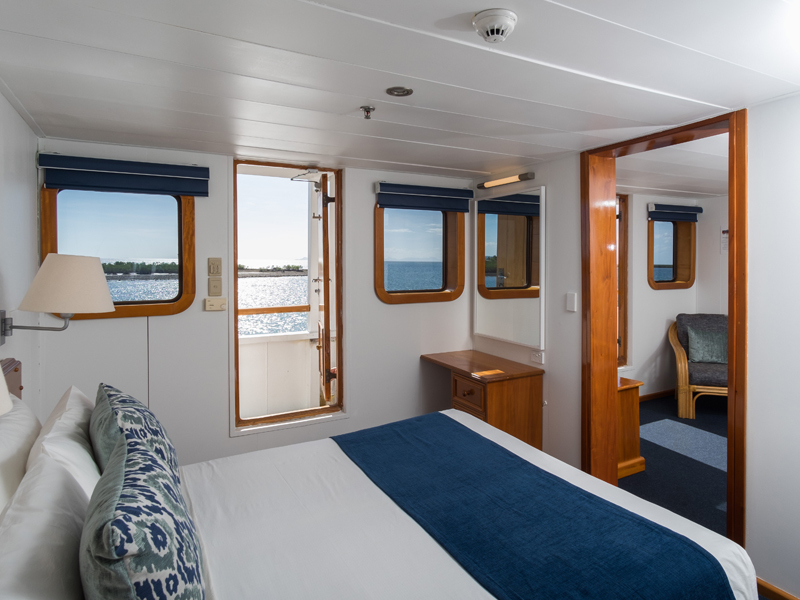 With an ensuite, twin or double bedding and multiple power points, your floating Fiji holidays will take on an idyllic trip through the tropical oasis. 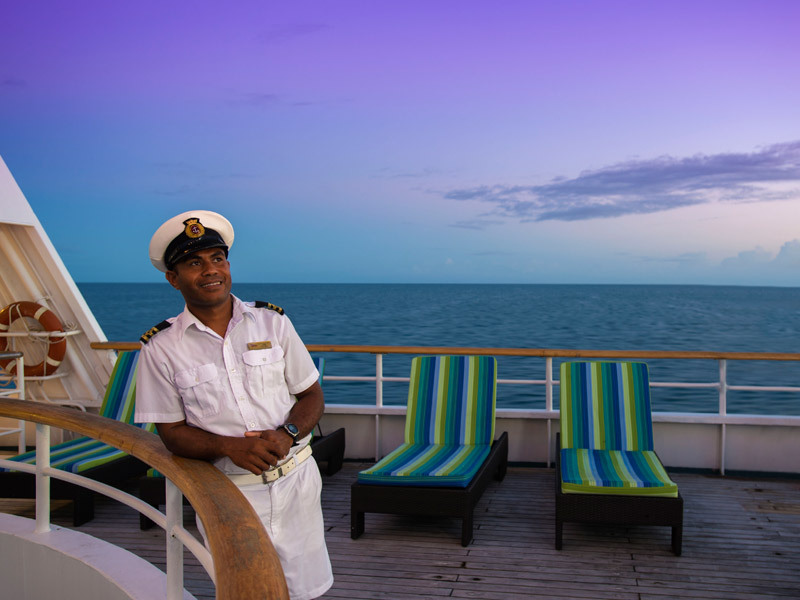 With accommodation and cruise itineraries suited to couples, families and even work groups looking to connect with one another, the Captain Cook Cruises Fiji offer superior service on beautiful vessels. 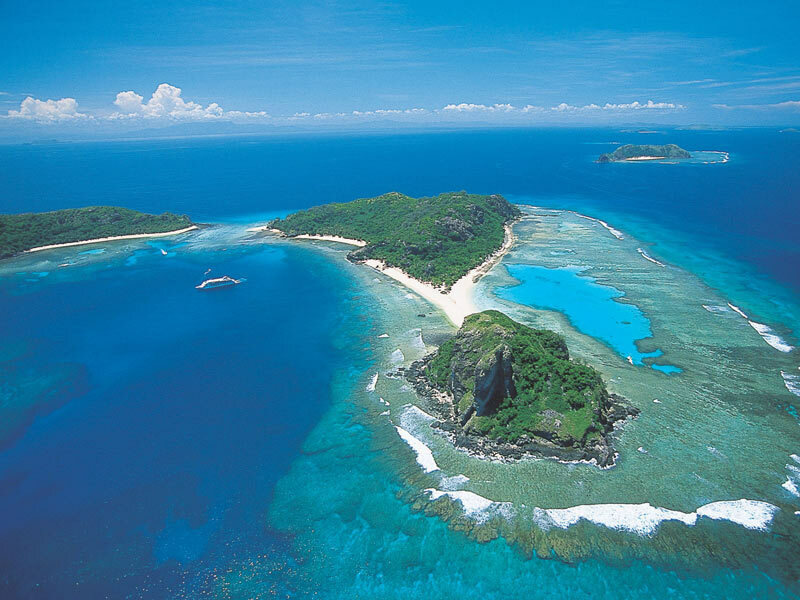 Visiting the remote Yasawa Islands allows guests to interact with local communities, learn about Fiji traditions and cultural views, even visit a local school! Read more about Captain Cook Cruises here! Cruises depart & return Denarau Marina. 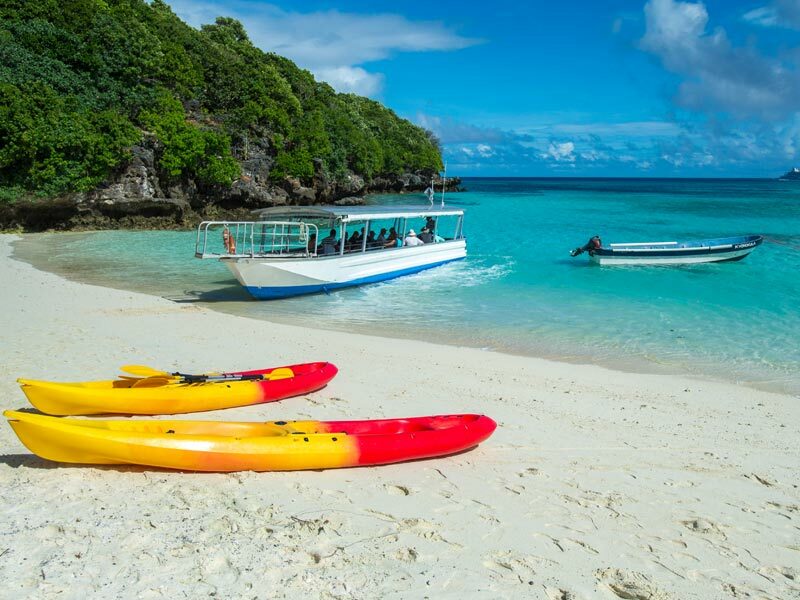 This combination of both three and four night cruises brings together every fascinating experience of the Yasawa Islands from the north to the south, from culture to nature. If in port on Tuesday you can enjoy a choice of complimentary tours. Ni sa Bula’ is the magical call of welcome as you board Reef Endeavour for your island adventure. 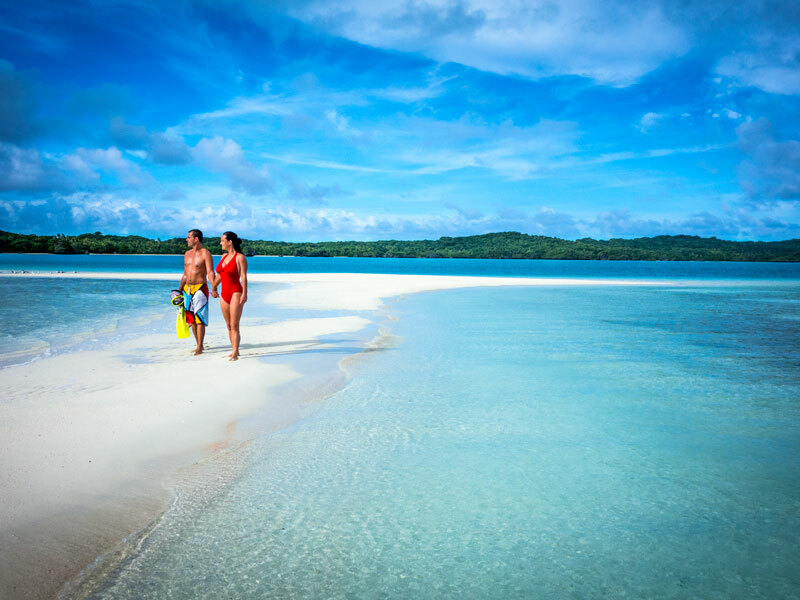 Cruise to Tivua Island over a light lunch and safety briefing, to explore the coral gardens, clam farms and a medicine walk through the island before enjoying a South Pacific sunset on your first day at sea. Tonight join the Captain and his crew for the Gala Captain’s Dinner. 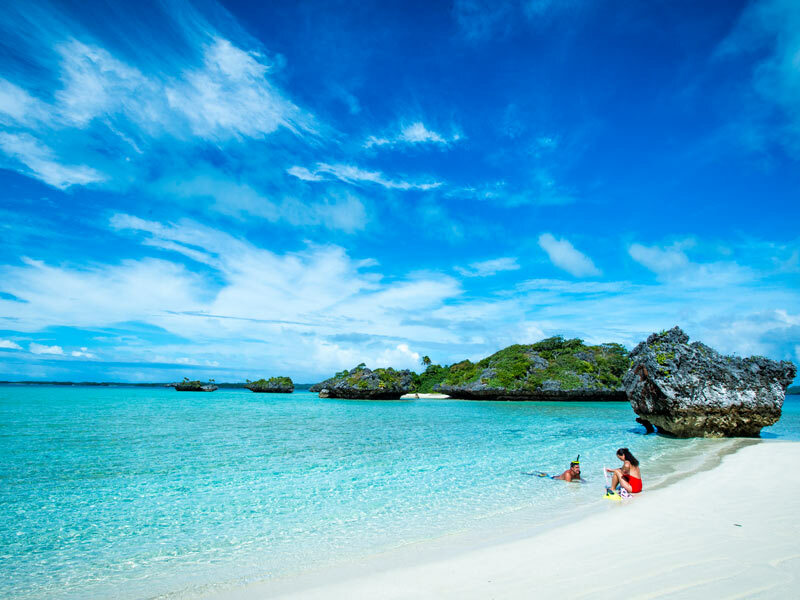 Start the day naturally with a morning swim & snorkel in an idyllic bay at Brothers Beach on Naviti Island. Savour the bounty of a gourmet buffet lunch as you journey to spectacular Naviti Island. Here is beauty in its original state where you can bask in aquamarine waters along white sandy beaches. Volleyball, snorkel, swim or explore the island. This evening join the festivities and entertainment of a Fijian Village at Gunu for a traditional Fijian Feast, Lovo and Cultural performance, Meke. Discover the legendary grandeur of Sawa-i-lau and the famous limestone caves at your own pace. Swimming in the cave lagoon is a wondrous experience or you could explore it on an escorted kayak tour. Join the guided walk to the village school, meet the children and help them practice their English. There may even be a footy game. Snorkel over spectacular coral gardens, swim in fabled lagoons or test your fitness with a climb to the peak behind the school on Yasawa Island. Try your luck at crab racing tonight. Cruise the soaring volcanic peaks of the Yasawas and discover a myriad of fish in the coral reef and laze in the warm sands of Yaqeta. Cruise the spectacular channels to Drawaqa for amazing snorkelling this afternoon, you may even see a Manta-ray (seasonal). 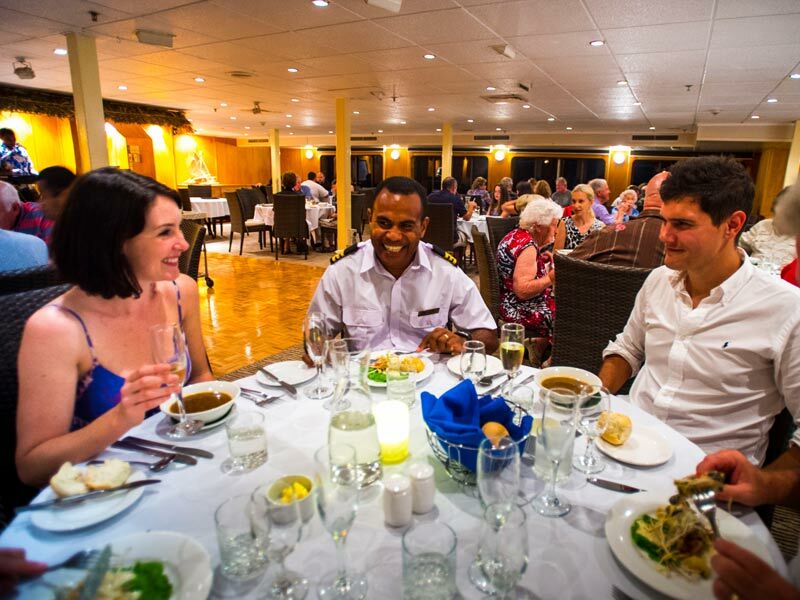 Experience the sunset over the beautiful Yasawa and enjoy a tropical dinner under the stars (weather permitting). This morning we are sail into Port Denarau for breakfast aboard. The crew bid you farewell to the wistful song of ‘Isa Lei’. Disembark 9am. Reef Endeavour cruises to idyllic Monoriki where Tom Hanks’ Castaway was filmed. Snorkel a wonderful bommie in the morning or relax on Monu beach. In the afternoon, explore Monuriki’s natural film set on a guided kayak tour or from the beach before a special village choral service. The beautiful harmonies of the village choir will simply delight you. This evening join the entertainment of our Sunday Crew Show.